Like it or not, the first thing any recruiter will look at (just after googling your name) is your GitHub Profile. This somehow assumes that any developer should have a healthy contribution to a number of open source projects (or side projects) on your free time to be more employable (even if this may imply a less healthy work-life balance). There is even a tool, called CodeTrace, that claims to perform a real-time skills assessment of a developer’s expertise based on the GitHub profile. To be clear, I’m not saying I like this or that you should follow this “trend”. 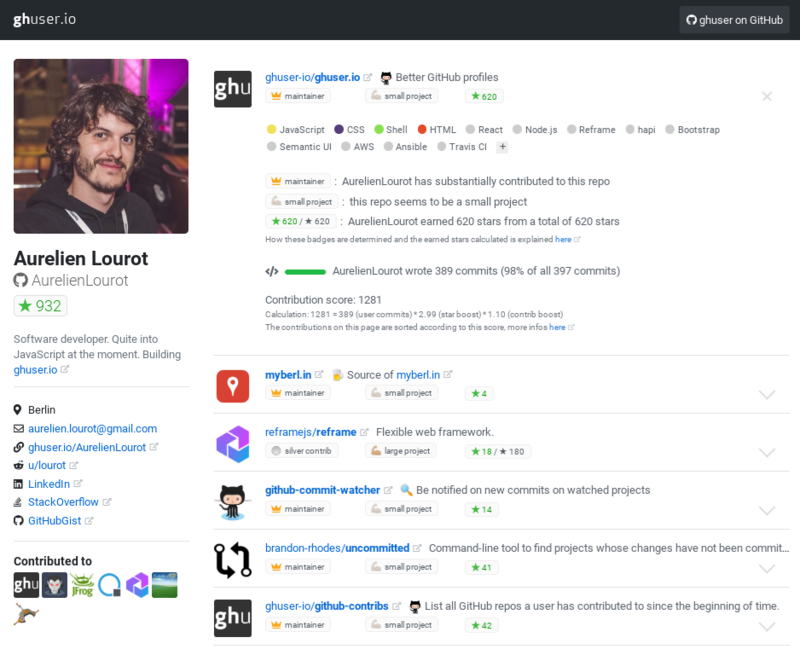 But if you are actively looking for a new job and do contribute to projects on GitHub, you may want to take this opportunity to stand out and improve your chances of getting selected by improving the visualization of your GitHub profile. Simply add your GitHub username and the profile summary for GitHub online tool instantly gets you a number of charts summarizing your repositories, commits and stars, grouped by language. See an example of the kind of visualization get in the featured image above, showing the data for my profile. You can also run it locally. And, even better, the source code is available on GitHub itself. The first part looks quite similar to the profile generated by the previous tool but Sourcerer goes further than that and, for instance, it includes a “Fun Facts” section (even if I would appreciate to be able to drill down in these facts and see some data on how the tool reached that conclusion, I’m surprised by some of them). Sourcerer lets you edit your profile to change/complement some of the generated data. You can then use your own sourcerer URL to share the (edited) profile with whoever you want to. The sourcerer app is also open sourced. And as a bonus, looking at the other tools created by Sourcerer, I also liked this widget to generate a readme file thanking your project contributors. The only “but” to ghuser is that you need to explicitly request to get your GitHub account processed by creating a new issue in the project of type “Profile Request”. This makes the process more cumbersome and less immediate than what you get with the previous tools (still, once it’s done, your data will always update automatically so the request is just a one-off thing).